Services – Little Angels, Inc.
Our primary focus is to provide services to infants and toddlers from birth to five years of age. However, we realize that our services are needed among children beyond this age group. 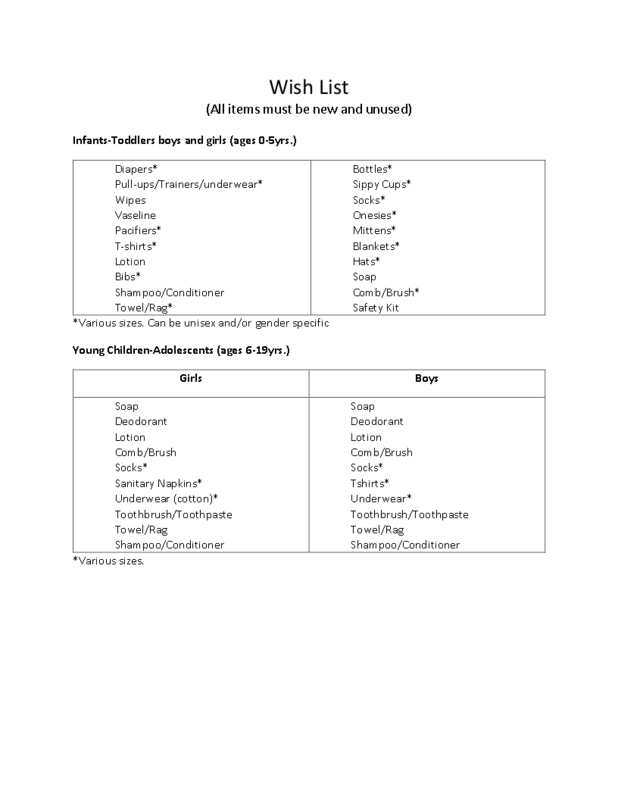 Our Little Angel and Big Angel Box Programs provide items from our wish list for a boy and/or girl of a particular age group. See our wishlist below and decide whether you will help pack a box today! Save yourself some time. Give a donation and we'll purchase items for an Angel!